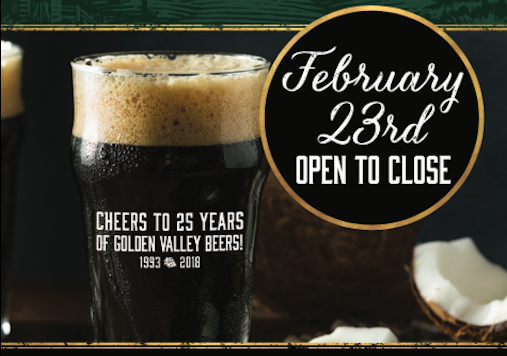 Golden Valley Brewery & Restaurant is celebrating 25 years of fine food and hand crafted beers. Join us on February 23rd at our original location in McMinnville for a celebratory Stout Fest with 7 featured Blank Panther Stouts, prizes and more from 11am to close. We’ll be pouring the following, so mark your calendar and come celebrate 25 years of GVB with a pint of Black Panther (or two).